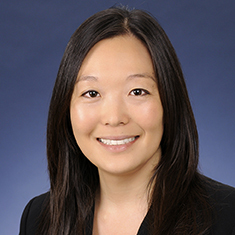 Tami Kameda Sims concentrates her practice on business, intellectual property, entertainment and appellate litigation. She advises and represents individuals and companies on a variety of matters, including copyright, fair use, trademark, idea submission, music royalty disputes, artist-manager relations, right of publicity, right of privacy, defamation, First Amendment, trade secret, unfair competition, employment and contract disputes. Tami works with clients to manage all aspects of litigation from advising on informal resolution of disputes to prosecuting and defending lawsuits. She has significant trial and appellate experience. In her appellate practice, Tami has represented clients in state and federal appellate courts. She has particular experience in appeals involving California’s anti-SLAPP statute, defamation and contract disputes. Tami draws from her experience as a law clerk for the Honorable Harry Pregerson of the US Court of Appeals for the Ninth Circuit. While attending law school, Tami was an articles editor for the UCLA Law Review. She also was a judicial extern to the Honorable David O. Carter of the US District Court for the Central District of California. Shown below is a selection of Tami’s engagements.